Located alongside the Teton Mountain range in northwestern Wyoming, Grand Teton National Park is a gem of the national park system. Encompassing nearly 500 square miles of habitat, the park offers visitors the chance to enjoy glorious vistas and a variety of wildlife species. We’ll discuss some of the most iconic and noteworthy animals that call the park home below. 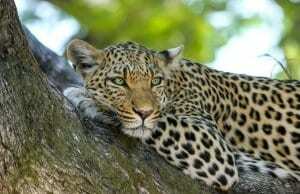 We’ll also provide some general tips for maximizing your chances to see some of these animals in their natural habitats. Several impressive ungulates roam Grand Teton’s forests and fields. Grand Teton is home to a variety of hooved mammals. Mule deer and elk are two of the most commonly seen species. Mule deer may even pass through populated portions of the park from time to time. Elk usually stay farther away from heavily populated areas, but they often form huge herds, which makes them easy to find in the park’s valleys and fields. Moose also live within the park. 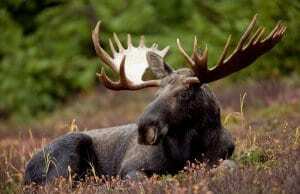 Surprisingly graceful for their size, moose demand respect, and they should never be approached. 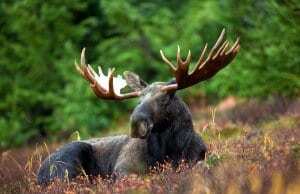 Look for moose hanging out around ponds and other areas with plentiful aquatic vegetation. 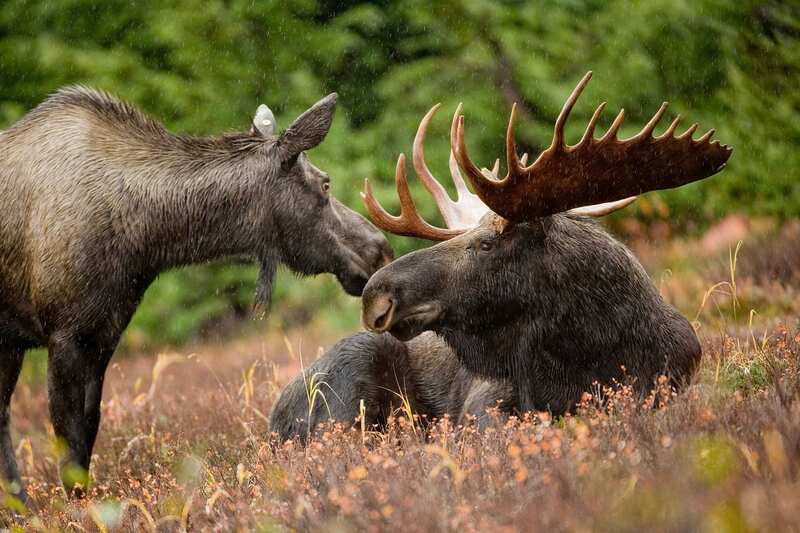 But while moose are certainly huge and impressive animals, they can’t compete with the park’s largest species – the bison. Look for herds of bison grazing in the vast fields and valleys of the park. Like moose, bison demand respect and they should not be approached. Several visitors are injured by bison each year while visiting the park, so keep your distance. Although they aren’t seen very often, several impressive predators call Grand Teton home. 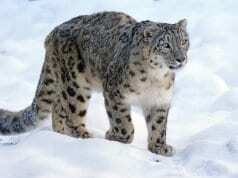 Eighteen different carnivores call Grand Teton home. Most, such as the resident otters and weasels are relatively small, but several larger predators also live within the park’s borders. Coyotes, cougars, bobcats and Canadian lynxes are all seen from time to time. 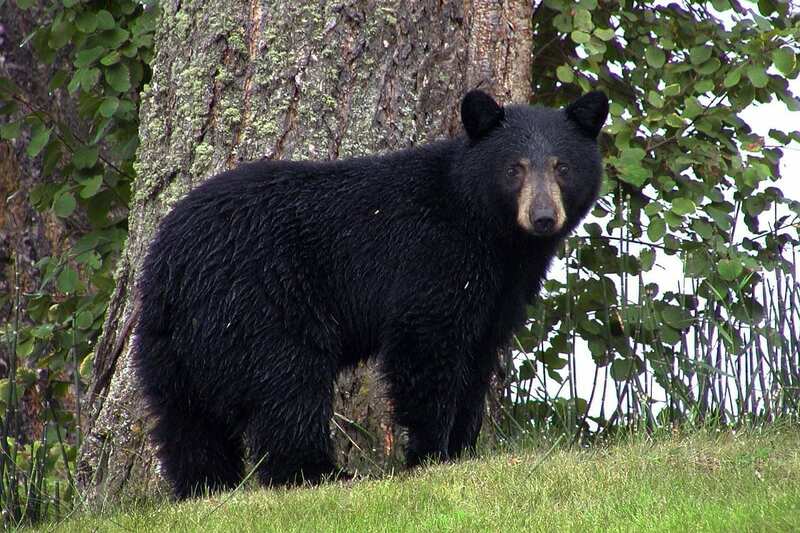 Two bear species – black bears and grizzly bears — also live in the park. Grizzlies are often the more celebrated of the two species, but they aren’t encountered very often by visitors. On the other hand, black bears are pretty common in the park, and you have a decent chance of spotting one during your visit. One of the most important predators living in Grand Teton National Park is the gray wolf. 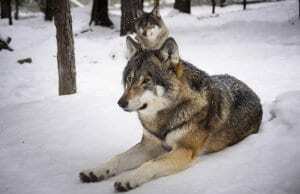 Formerly extirpated from the area, gray wolves were reintroduced to Yellowstone National Park in the mid-1990s. Soon after establishing themselves in Yellowstone, some of the wolves migrated to Grand Teton, where they now live permanently. More than 300 bird species have been spotted within the park’s borders. Grand Teton National Park supports a diverse array of bird species. This includes small songbirds, such as Brewer’s sparrow and Stellar’s jay, as well as larger species, such as the black-billed magpie and sage grouse. Grand Teton is also home to a number of aquatic species, including blue-winged teals and harlequin ducks. 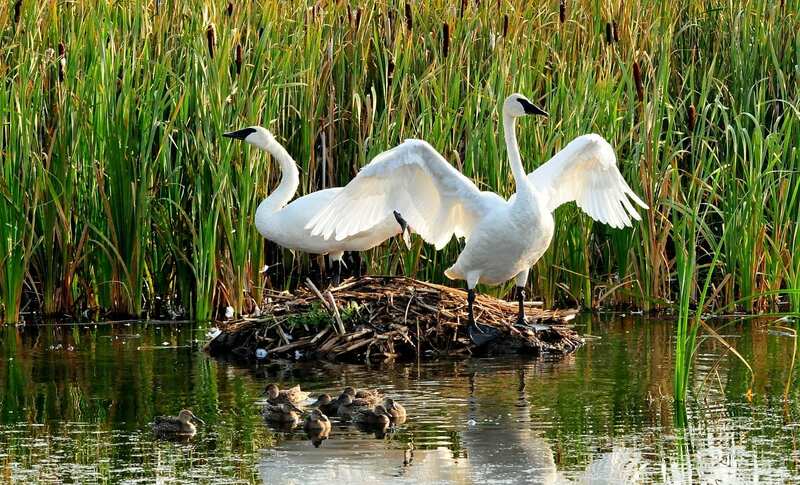 However, few species are as iconic as the trumpeter swan, which also lives within the park’s borders. The largest aquatic bird in the United States, the trumpeter swan is easy to recognize by noting its jet-black beak and white feathers. Several birds of prey also inhabit Grand Teton. 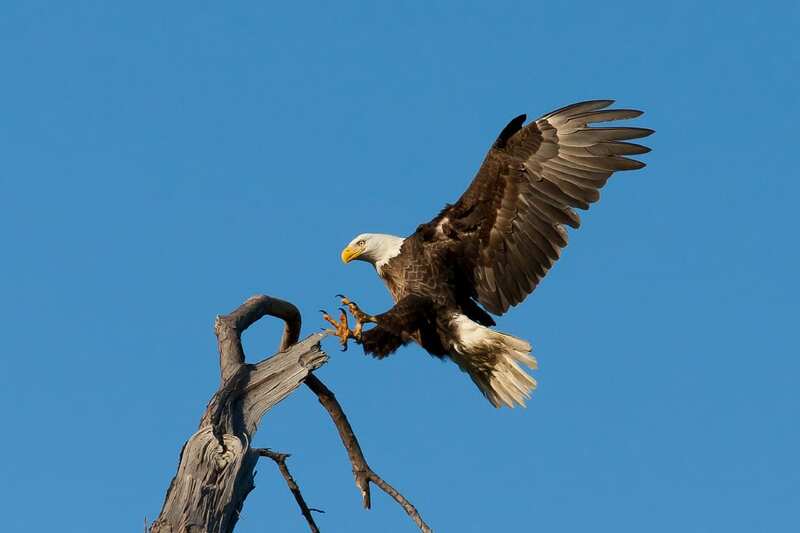 This most notably includes the iconic bald eagle, which typically hunts fish in the area’s rivers and lakes, and the peregrine falcon, which catches other birds on the wing. 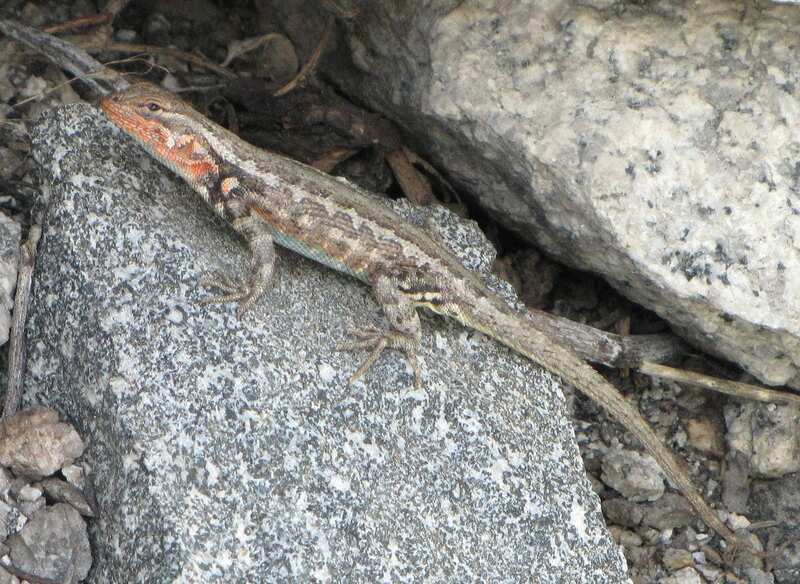 Despite its northern location, Grand Teton is home to a handful of reptiles. 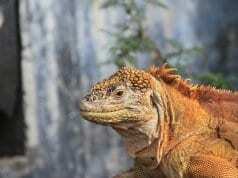 Four reptile species live in Grand Teton National Park. This includes the northern sagebrush lizard, which can often be seen darting among the vegetation, hunting for insects and spiders. 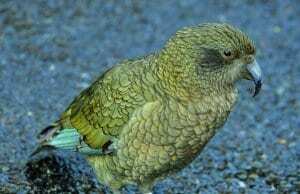 Oddly, this species escaped detection by the scientific community until the early 1990s. Three snakes live in the park. 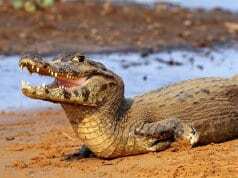 This includes two garter snake species and a very unusual snake called the rubber boa. Reaching about 2 feet in length or so, the rubber boa is a small snake, which kills its rodent prey via constriction. Rubber boas are generally very placid, and they generally roll into a ball when frightened, rather than biting or striking. Grand Teton National Park provides wonderful wildlife-viewing opportunities for visitors. Despite the abundant wildlife living within Grand Teton National Park, you’ll want to employ a few wildlife-viewing tips during your visit to ensure the best chance of seeing as many animals as possible. We’ll try to help you do so below, by sharing a few useful tips. Speak to the park staff frequently. Grand Teton is a large park, and you won’t see many animals if you just wander around aimlessly. Instead, ask the staff members about recent wildlife sightings, as this may help you focus your efforts on the best possible locations. Concentrate on areas where two habitats meet. One of the best tips for spotting wild creatures in Grand Teton is to scan the areas where forests meet fields or bodies of water. This way, you’ll have a good chance of spotting residents of both habitats. Be sure to get out early. Many of the most spectacular animals that live in Grand Teton are most active early in the morning before the crowds reach large sizes. 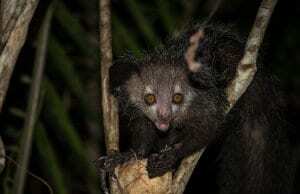 Accordingly, you’ll have the best chance of seeing these creatures if you start before the sun rises. Late afternoon also provides excellent wildlife-viewing opportunities. In fact, some of the park’s canine predators – notably wolves and coyotes – are most active around dusk. Grand Teton is obviously worth visiting anytime you find yourself in the Wyoming area. It offers visitors the chance to see a variety of different animals, as well as glorious views of the Teton mountain range. And because it is located a mere 10 miles from Yellowstone National Park, it gives you a great two-for-one opportunity. Have you ever been fortunate enough to visit Grand Teton? We’d love to hear about your experiences. Let us know what kinds of wildlife you saw during your visit in the comments below.